Aeria Games‘ free-to-play anime MMORPG Aura Kingdom saw some upgrades this week with a new content pack. The patch was updated on February 11th, and has since been giving eager fans some new challenges, classes and even more stomping grounds. Within this new content is the Brawler, a new class which brings the total to a resounding nine classes. Wielding sharp Katars in both hands, Brawlers are guaranteed to shred through enemies at melee range, while collecting Earth and Sky charges to empower their stronger abilities. Brawlers also have the ability to synergize with certain secondary weapons in order to unlock their most destructive combo skills. 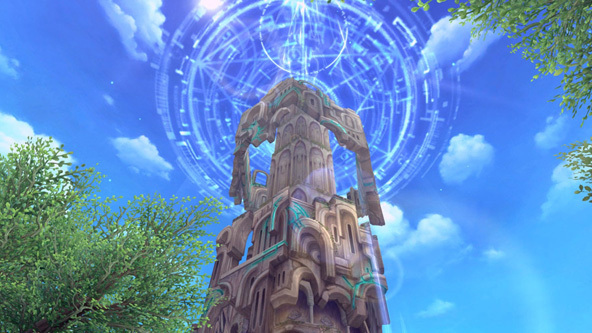 Another new addition within the patch is the Sky Tower raid. 40 players will be put to the task of reaching new heights as they battle their way up a tower full of relentless enemies and bosses. 10 floors are now available within the Sky Tower, with more levels planned for future content releases. These new features as well as more dungeons and zones is sure to make any anime MMORPG fan ready for battle, so check out Aura Kingdom and get to brawling! What they should have called it instead–Monk. D&D had a fighting style called Phoenix Hand which used Katars for the Monk class. Am such a nerd. Doesn’t really matter much though, overall they’re practically the same as the already existing Duelist class..just with katars instead of swords. The charge system is a gimmick at most. This is putting a tread mill in a tread mill. They extended the exp range to have you grind 40 – 50. Now, to avoid creating actual maps and content, they throw in a “tower” LOL, where you can grind your way up to copy and paste animals in tight hall ways. Cheapest update ever. Game is bad.